Kalutara is a popular coastal locale that is situated just about 40km south of Colombo. It is popular for a variety of reasons and is particularly renowned for its Buddhist heritage. The beautiful area where this tranquil monastery is situated within is renowned for its lush natural beauty and environmental diversity. Despite the fact that one has to embark on a trek through the mountainous jungle to reach the monastery, it is frequented all year round. 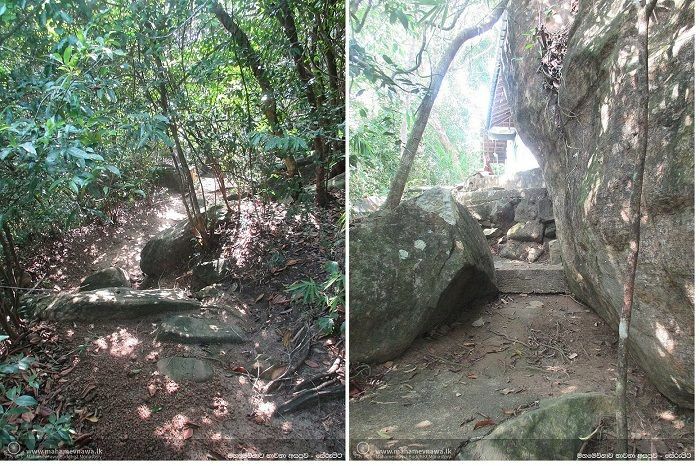 The walk is not too rigorous, and the beautiful scenery featured along the trail makes it a very pleasant adventure. This temple is a popular place for seekers of serenity and many spend hours engaged in meditation and experiencing inner peace. 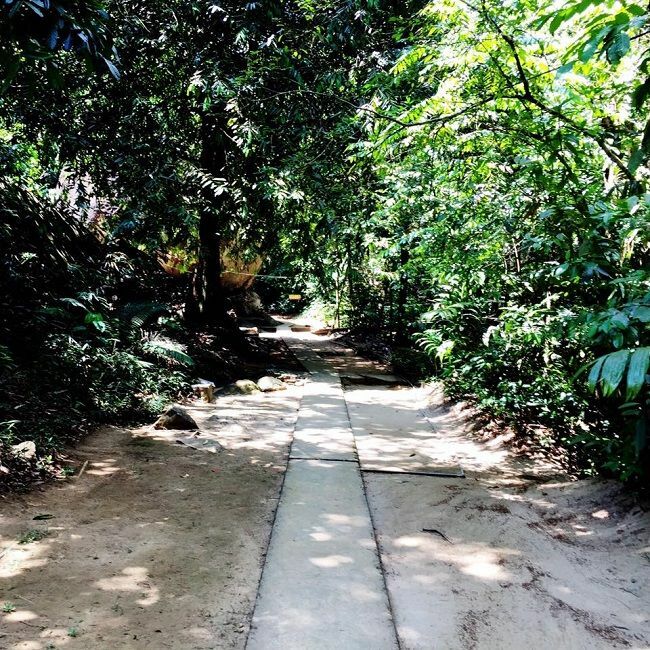 It’s a bit of a biodiversity hotspot as well since there’s a range of interesting species to be found here, covering birds, gentle reptiles, and various other wildlife. Leech protection would be required if you’re visiting in the rainy season. Read more about Kalugala Monastery. Much like the Kalugala Monastery, this is also situated in a beautiful forest reserve of sorts. 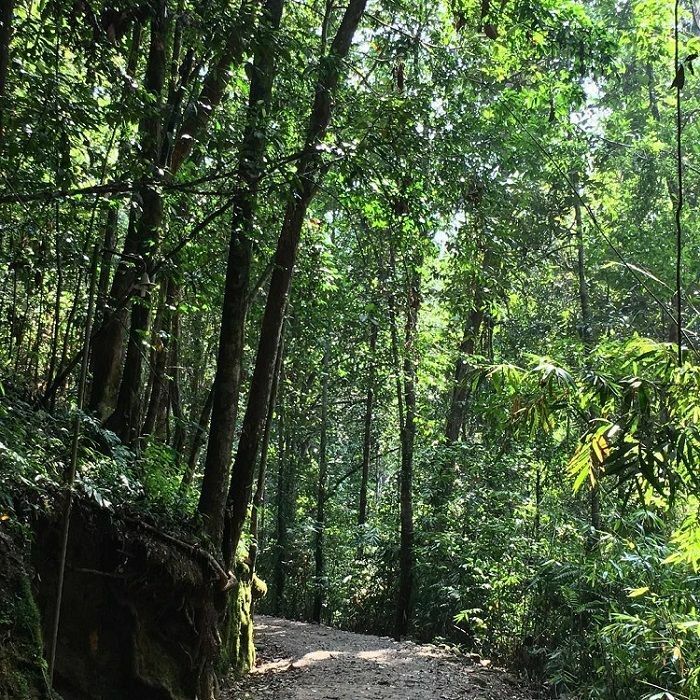 The reserve is spread across 400 hectares of beautiful lush rainforests with rivers running through it. It is an ideal setting for a monastery because it is both serene and spectacular. Among the locals, This monastery is known as “Nachchimale”. 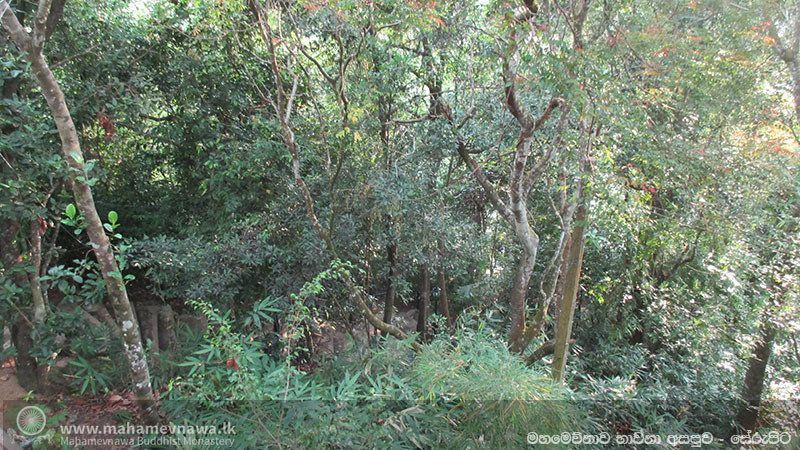 This forest is also quite high in terms of biodiversity, with 90 species of birds alone. 11 of these birds are endemic to the area. The monastery was built sometime in 1940 and was developed by Rev. Ranwala Saddhatissa Thero, and shortly after construction was completed, there were around a hundred monks living here. This place has been a centre of Buddhism for much longer, however since monks have been dwelling in the various caves in the area. Getting to the monastery is quite easy, but you’d have to embark on a 1km walk. There’s a wooden sign within the temple displaying a quote from Lord Buddha himself, who is believed to have preached within the area. You’ll find this beautiful Buddhist hermitage in the captivating town of Ingiriya, which is situated within the Kalutara district just near the border separating the Western and Sabaragamuwa provinces, respectively. The Hermitage is located close to Dombagaskanda Hill, nestled on the banks of the iconic Kalu Ganga, or ‘black river’. 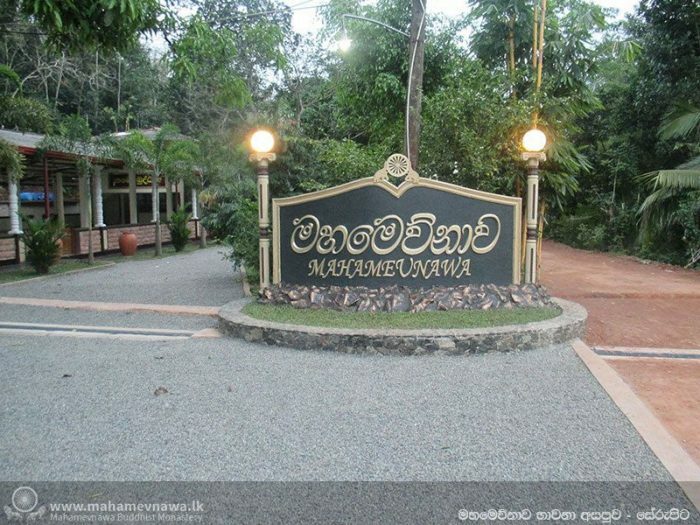 The Bodhinagala hermitage is considered to be one of the most significant of its kind within the district, and one of many famed Kalutara attractions. 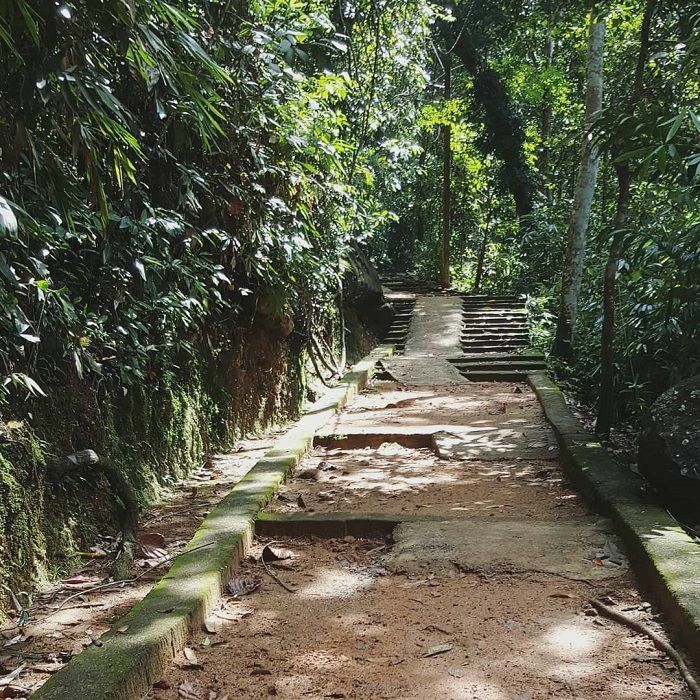 The monastery can be reached through a neat trail that snakes through the jungle. Regardless of how scorching the sun might be, a forest canopy would protect travellers from the glaring heat by providing shade. One of the most captivating features of the monastery would be the ‘gediya’, which essentially is a large log suspended from a frame. This apparatus is used as a bell since the log makes a fairly loud noise when hitting with a stick. This happens every day at 10 am to signal the commencement of the ‘dana salawa’. This is also one of the most comprehensively equipped hermitages since it has various meditative pathways and medical halls. From a distance, the monastery looks beautiful as its white facade sticks out of a mountain of lush green. The temple has a reputation for welcoming individuals of any background to learn the teachings and experience the tranquil nature to be found here. 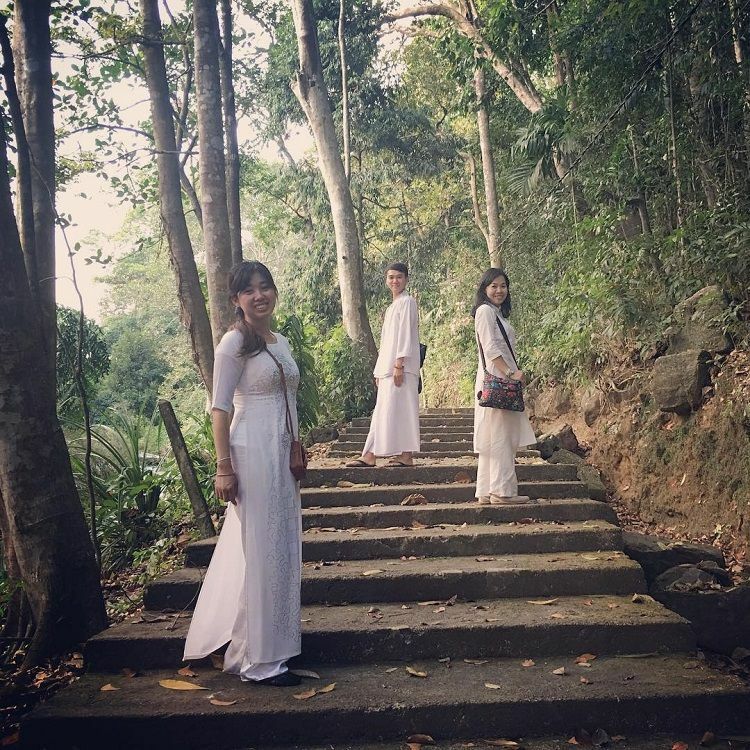 This monastery deals with the oldest version of Buddhism, which is Theravada and offers a variety of programmes that allow people to learn the Dhamma. You might be surprised to find that this temple was founded quite recently, in 1999. The purpose of it has been described as to spread the original teachings of the Buddha. The Mahamewnava Monastery involves itself quite wholeheartedly with a range of efforts to benefit the community. These efforts include the organisation of events such as blood-drives and free medical services. The temple also organises aid efforts towards victims of natural disasters, the donation of books to various entities such as schools and other temples, as well as the distribution of water-filtration systems. The learning programmes offered at the monastery are split into two categories, Buddhism, and meditation.